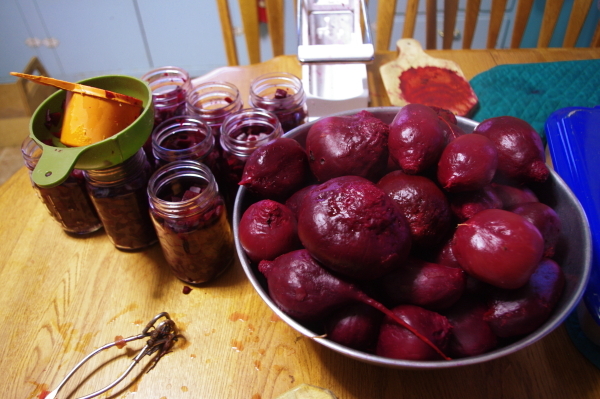 esides firing Bouja bowls and painting window components yesterday, my folks and I also dug up all of our beets from the garden and canned them. 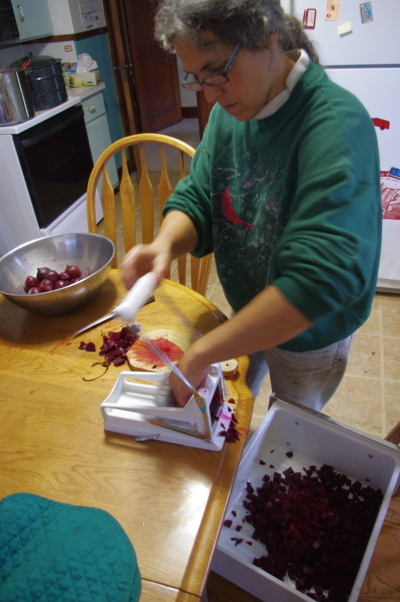 My mom uses a french-fry cutter to expedite the process:) I have to say, peeling beets is one of the most fun jobs on the Meyer Farm. It reminds me of that Halloween game where you pass gross things under a blanket, with the peeled grape “eyeballs”.